The FloWave Ocean Energy Research Facility – a 25-metre diameter tank that can recreate complex waves and fast currents – focuses on research, development and testing. 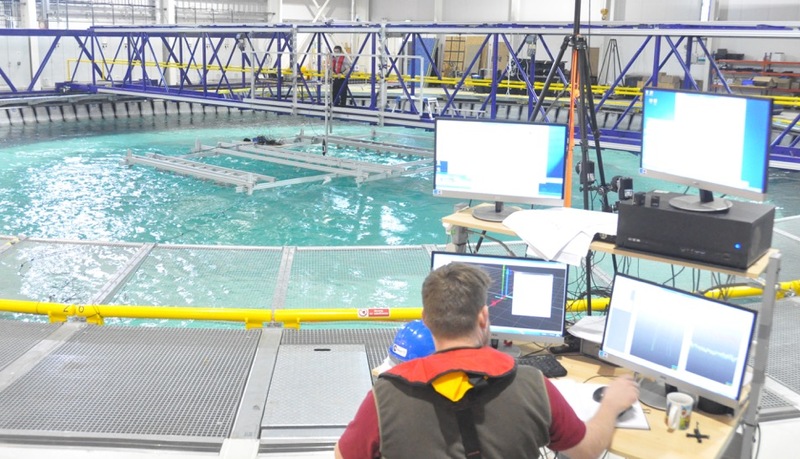 Built in 2014 as a standalone facility on the University’s King’s Buildings campus, FloWave has already become one of the world’s leading and most used wave and tidal test facilities. It has been used by a wide range of academic and commercial clients from home and abroad to recreate any ocean current in the world, enabled by the tank’s 360 degree symmetry and size. Complex waves and currents for normal, challenging and extreme conditions can be easily simulated, repeated and adjusted as necessary. The development is due to be completed by the summer, with all services to commercial and academic clients expected to continue as normal.